Feng Guangshun, general manager for MSN China's public relations, says Microsoft (MSFT) is planning to replace the MSN Groups with Windows Live Group and the new service will also be soon launched in China. Feng, according to a ChinaByte.com report, says that the change is a natural product migration and the new product, with better technological support, will provide a better service for users. Because the Windows Live Group has not been launched, Microsoft currently will not publicize the details about the product. However, Feng says in the transition period, the company will make a corresponding plan and it may invite cooperative partners to participate. Commenting on the promotion of the Group product in China, Feng says Microsoft did not provide the MSN Groups service in China, but the new Windows Live Group will be available for Chinese netizens and the product is expected to launch in the country soon. Windows Live Groups is an upcoming Web 2.0 service by Microsoft as part of its Windows Live range of services that enables users in Windows Live Spaces to create their social groups for sharing, discussion and coordination. The service will allow users to form their own community groups, similar to the way Facebook Groups function. 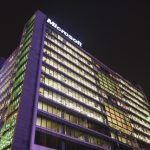 Microsoft stated that Windows Live Groups will enable users to make use of the groups already available in Windows Live Hotmail and Windows Live Messenger.